head over to Manchester Mummy for a chance to win a Super Ski Jump Game! It’s time for the first Sim’s Life Christmas Gift Guide Giveaway and what a corker it is! Readers of the blog will be fully aware we are huge Drumond Park games fans in our house. Their range features games that are perfect for family night, easy to understand, fun, guarantee laughter, silly, quirky, sometimes more serious with memory based games… but more importantly, the games are awesome! The Foxy Pants game is fun for the all the family or a group of children, aimed at age 4 years and over. Can you outsmart the fox and rescue all the chickens… and by doing so also beat your opponents? Children will enjoy decorating the fox and the dice with the included stickers before the game can commence, that’s when the fun really does start! Ensure you are sat at a table with lots of space, as the 21 chickens will escape all over! To start the game, simply lift up the fox’s arms, turn him upside down and pull out the cloth pants. 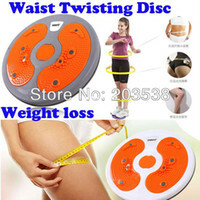 Pull these up over his body and push the fox’s arms back down again and stand him in the middle of the table. Give the best chicken impression you can and you get to start the game, simply roll the dice to see how many chickens you need to place in the fox’s cloth pockets. The player then presses the fox’s head down until you hear a clicking noise, if nothing happens then the game continues with the next player. When the fox is ready to play, his trousers will whip back when his head has been pressed enough times and all the chickens will escape. Be the first player to fill your coop (game card with 5 spaces for chickens) and claim your spot as the Foxy Pants game winner! It’s fun, it’s fast, filled with suspense and will fill the air with laughter. 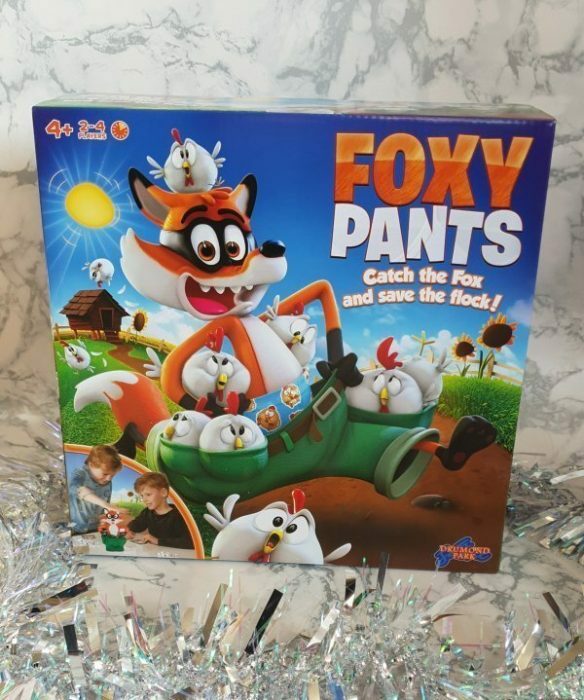 The Foxy Pants game is a proper treat and a fantastic Christmas Gift idea and for family fun on the big day and beyond! With so few parts, it’s easy to clear up and keep tidy with the added bonus that batteries are not required! The Foxy Pants game has an RRP of £22.99 and is available to buy from Amazon and toy retailers such as Smyths. For your chance to win a copy of the Foxy Pants game from Drumond Park, simply enter using the Gleam form below and don’t forget to answer the question by leaving a blog comment! Giveaway ends at midnight on Sunday 4th November 2018. The winner will be notified within 48 hours of the giveaway ending and a UK postal address to send to the official agent to arrange delivery of the prize will be required by the winners. The one winner will receive 1 X Foxy Pants Game from Drumond Park. Open to entrants in the UK only. We usually go to my parents Christmas day, then the in-laws boxing day. But this year we are thinking of maybe having a Christmas by ourselves. I’ll spend Christmas day with my children and my parents. We always go over to my parents home on Christmas morning and my dad entertains the kids while I help my mam cook our traditional turkey dinner. We always eat around 1pm then we go for a walk along our local beach with our dogs and my kids then back to watch Christmas tv! I usually go to my parents house on Christmas day and my mum cooks the most wonderful roast dinner! This year will be extra special for me though as it will be me son’s first Christmas! We will be spending the day at my parents house! Lots of pressies and a huge cooked dinner! Our tradition is a secret Santa amongst all the adults and these are always the last presents opened! My parents Christmas day, then off to the in laws in the evening to play board games! I will be cooking for the whole family this year, open house with lots of noise and fun & goodwill. That’s the plan anyway! I will be having christmas at home with my husband and 2 sons and mum will be coming for christmas dinner. W usually spend it at home, just the two of us. Plenty of food and the telly. We usually go to my parents on Christmas Day. I have invited my mum as well as my mother in law, we will all be having Christmas dinner together at our house then I’ll be relaxing in front the tv and playing with my two boys. Start with presents with my wife and daughter. Then meet rest of family and in laws at the local pub for Christmas dinner. Spending time together and we always play family games after Christmas dinner! Not sure this year, usually with mum and dad but things change! This year we’ll be spending it at home which is great as we usually have to travel to family hours away. Xmas dinner with the whol family at my sisters house, she goes all out! with family. our daughters make sure everyone joins in playing games, watching Christmas films and eating a little too much dessert! I spend the day at home with my family, its the way it’s always been! One tradition is eating too much and falling asleep on the sofa when all the afternoon TV is on! We spend the day at home and visit family in the evening! I will be spending it with all the extended family so it’ll be a busy one! The only tradition is bucks fizz and bacon for breakfast and I’m ok with that one!! We usually go to my mum’s house. But my baby is due so could be in hospital. Christmas day at home with just the family then the rest of the week at various homes/parties etc! With my parents and my partner. No traditions apart from falling asleep in front of the telly! The wife will be working and so we always book a log cabin later for a mini christmas. At home with my sons and husband, hopefully eating a lot of quality street! I always have Christmas at my house with at least 11 people dining Duck as main Party. Crackers on the table Jokes are ready and away we go. Not forgetting the booze. We always go round to families on Christmas Day and have lunch then play games! It’ll be a quite one with the family. I’ll be spending it with my 5 kids and partner. I will spend Christmas day with the inlaws this year and my kids.. we normally stay at home but going to break tradition this year. Not sure yet as my husband and I are separating – probably staying with my parents. Christmas for us is eating, drinking and board games! Spending Christmas with my daughter & son in law. That’s our tradition, to always spend Christmas together. We are travelling to my parents’ house for Christmas. My sister & her family will also be there so it will be good gang of us. Traditions include Midnight Mass, champagne breakfast on Christmas morning, present opening after that and then hours around the table for a traditional Christmas feast! Bucks fizz for breakfast and as much food and telly as I can fit in. We’ll be eating at home and visiting family later on! We are spending Christmas day at home we always play at least one board game! We usually have Christmas at my mum and dad’s but they only have a small house and we have 2 new babies in the family so there won’t be much room, so it might be Christmas at ours this year! With the family – my mum dad sister and uncle come to our house on Christmas Day with me, my husband and kids. We then go to my mums for dinner on Boxing Day. Everyone always goes to my Mums for a big Christmas dinner and a buffet tea! We pick up the mother in law and go to my parents house for the afternoon. We stay at home on Christmas day just the four of us. We visit family on Christmas eve and boxing day. We spend it at home and then visit parents on the evening! I will be cooking and spending Christmas with my immediate family. We open our presents on Christmas Eve otherwise Im too excited to sleep. Our daughter is cooking for us this year. Travelling between Liverpool and Manchester for a big family dinner and the present exchange. Christmas dinner, party games presents, family film and bed. We’ll be going to the in-laws as we do EVERY year. We always have games at night after everyone has eaten their Christmas dinner, had a wee snooze and I’ve cleared up all the dishes. It’s great fun. Quizzes, charades karaoki. Can’t wait. We will be entertaining family at our house! I will be spending Christmas day with my family at our home where we will open presents together then have our big family Christmas breakfast. We will be spending Christmas day visiting friends and family. Looking forward to relaxing and enjoying some time off work. We are going to my MIL’s in Portsmouth ( We are based in Notts) no real traditions, but there is usually lots of food and drink! Christmas day will be celebrated twice this year so we can keep all the family happy. I love it though so I don’t mind. Spending it at home with family. I will be spending Christmas at my in-laws this year. Christmas at home with the family,, starting the long family tradition of have warm mince pies for breakfast, Considering that none of us luke mince pies, but feel that we have to keep the tradtiion going, there is always a rush to grab the smallest ones! When we were children we had the half hour rule where we were only allowed to open one present every half hour, we had to play with it for half an hour before we could open the next one. I still like doing that now. This year it will be with a friend and a catch up with family a week or two later. We don’t have any family to visit, so Christmas is always just me, my husband and the kids. But this means we are free to do what we want, when we want! Watching the kids open christmas presents in the morning before christmas lunch. Like the vicar of dibley , one lunch round one set of parents then another around the other. We shall be having children and grandchildren with us at Christmas so it will be an overflowing house! We love playing games together. We have a Christmas Eve box with new pyjamas and chocolates. We watch a Christmas dvd and snuggle on the sofa. We have both sets of parents to our house each year. I will be spending Christmas Day with my son and his family. I jump out of bed, get ready and go to their house for a scrambled egg and salmon breakfast. They have two small children so are always up at the crack of down. We open presents, play games, have Christmas lunch and then go out for a walk before returning to play charades. All in all its a lovely family day. Plan to spend Christmas with family and friends. Staying at home with my 3 kids and my mum coming rounnd! We host the whole family each year, and our tradition is to play board games after Christmas Dinner. It can end up in quite a few arguments as everyone is so competitive! Our tradition is that we all have to gather on the landing while my Mum goes to ‘check if Santa’s been.’ This even continued in the years when we had grown up and before we had children! I visit my daughter and granddaughter in Yorkshire and I watch my granddaughter open her presents which is always fun. With my sons watching Christmas movies and playing with new toys! Think we’ll be with the in laws this year, hopefully with the niece and nephew there too. We don’t really have any traditions. Although we do give the kids chocolate coins each year. We always go to my sisters and spend it round there. Unfortunately half of the day will be spent at work, and half at home, having a good time! With the family and pets! Opening presents with children on Christmas morning, ten they will go to their dads for a few hours and I will be having dinner at my mams, then I will pick the kiddies up and back to my mams for tea. Im pregnant this year and want my own bed now so I’m having everyone at mine and it will be a joint effort by me and my mum. Were going to have Christmas just me my husband and our two daughters, we lead such busy lifestyles and had an incredibly tough year. Plus my daughter loves foxes! Visit the folks for xmas dinner. Everyone comes to ours. It is exhausting for me, but worth it. We will be having Tapas on the big day! As it’s just the two of us! and it’s what we fancy, but on Boxing day we will have traditional Christmas dinner – cooking for 14! Its going to be a busy one this year, we are having all the family round so we will need some fab new games. I will be visiting my mum, I only see her a couple of times each year. Every year we all go to my parents house for Christmas dinner and games. There are 18 of us in total. All the family are coming to ours for dinner. Its ages off – no plans yet !!! At my parents. Our tradition is Kit Kats for Father Christmas with a Dark chocolate one for Mrs Claus. I’ll be enjoying it at home with my family and then in the afternoon we’ll visit my in-laws. All being well, I’ll be home with baby no.3 enjoying Christmas with the family as I’m booked in for my c section on 23rd December! I’m cooking Christmas dinner for all my family, ten people eek! At home with my hubby and boys, we ahve a tradition of opening pressies in our bedroom, love it! I am not sure jet but definitely with whole my family. We have our Christmas dinner on Christmas Eve, followed by Christmas Eve boxes of treats. we then spend Christmas day focusing on the children rather than being stuck in the kitchen. So relaxing! It’s usually a lovely family day, Dr Who in the evening. Traditional roast! Love it!